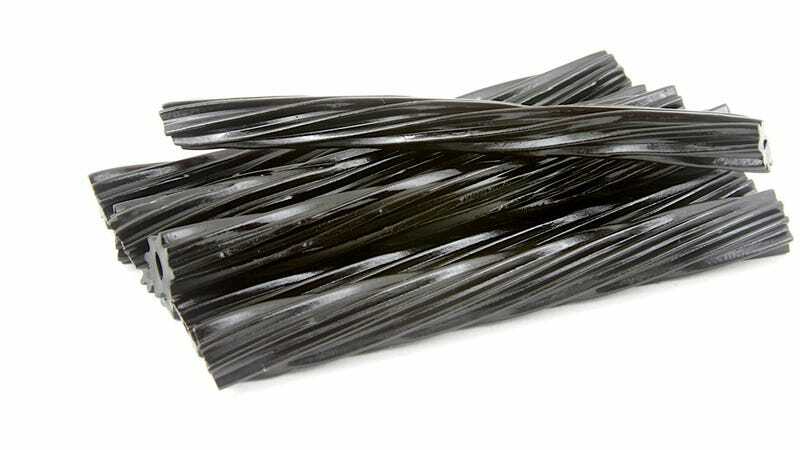 If you're like my 86-year-old grandmother, you probably love black licorice for whatever inexplicable reason exists for snacking on something that looks like braided horsehair lathered in pomade. Now, for your candy-chomping pleasure, you can enjoy black licorice with extra lead, which is especially helpful for all those licorice enthusiasts who are also villains in a Superman comic (Superman's x-ray vision is impotent against lead). California health officials are warning black licorice lovers that a recent batch of Red Vines black licorice tested positive for extra high levels of lead. The American Licorice Company has responded by issuing a recall for all one-pound bags of Red Vines Black Licorice Twists stamped with a "best by" expiration date of Feb. 4, 2013. The California Department of Public Health said that the candy contained as much as .33 parts per million of lead, a concentration that could deliver 13.2 micrograms of lead per serving. That's more than double the daily limit in children younger than six, who really shouldn't consume more than 6 micrograms in a day. Lead, which can be toxic to developing organs and neurological development, also poses particular dangers to pregnant women. Nobody has gotten sick yet, which is probably owing to the fact that nobody really eats black licorice and the American Licorice Co. just uses it to make toy soldiers and oxymoronic balloons.